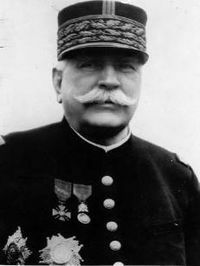 Joseph Jacques Césaire Joffre (12 January 1852 - 3 January 1931) was a French general who was Commander-in-Chief of the French Army between 1914 and 1916 during the First World War. 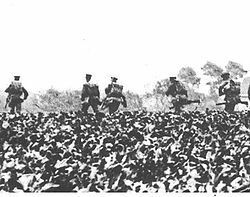 He is most known for regrouping the retreating allied armies to defeat the Germans at the strategically decisive First Battle of the Marne in 1914. His popularity led to his nickname Papa Joffre.